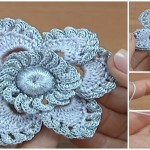 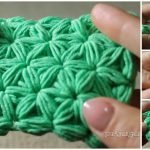 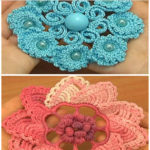 For today we have awesome crochet creation with video tutorial. 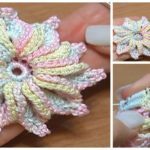 Tutorial is in Russian, but you can crochet easily if you will follow authors hands or you can also use translated subtitles. 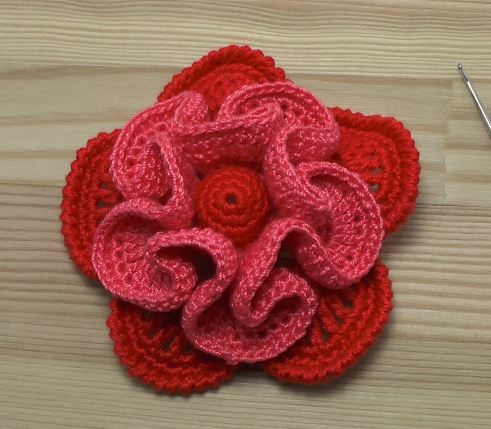 With this cute red flower that you see on these pictures you can decorate you clothing, blankets and accessories. 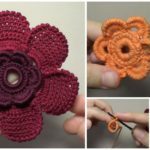 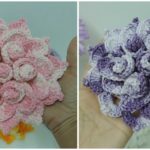 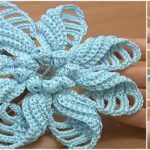 Choose your favorite colors or colors that you think will look good on item that you want to decorate, find some free time and start crocheting this cute flower. 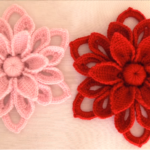 Thanks to author of course for video and design. 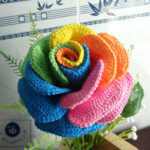 Hope you will enjoy.